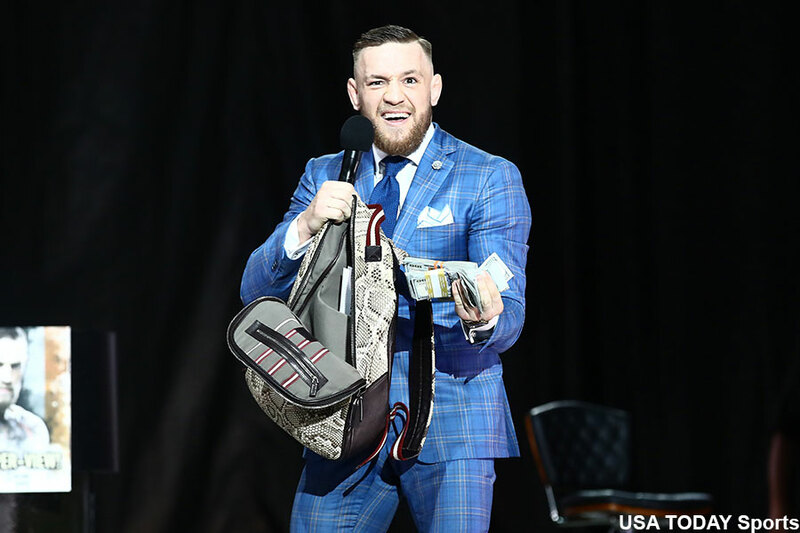 Conor McGregor had the taste of the promoter life in his boxing match against Floyd Mayweather, and now the UFC lightweight champion insists on carrying that over in his MMA return. During a Q&A session prior to the debut of his biopic “Notorious,” McGregor said he will not enter the octagon again unless the UFC allows him to co-promote events he headlines. While McGregor Sports and Entertainment was prominently displayed in ads, banners and inside the ring in August’s blockbuster boxing match against Mayweather, McGregor’s freshly formed company was not listed a an official promoter for the historic event. McGregor was dipping his toes in a new pond in his boxing debut, so perhaps that’s why he had less leverage on the promoter front. However, he’s by far and away the UFC’s biggest superstar and carries plenty of clout in the MMA pond. Would the UFC’s new owners, who shelled out a whopping $4 billion to purchase the company in July, be willing to cut one of their independent contractors in on the promotional aspect of his fights? It would be an unprecedented move by the UFC. Then again, they’ve never had another athlete as box office as McGregor, who appears to be rewriting the rules as he goes. One thing is clear, McGregor, who banked a guaranteed $30 million off Mayweather and claims he could clear $100 million if the pay-per-view performed as expected, is in no rush to jump back in the cage until his terms are met. “Seeing this, it’s taking me back and making me realize, if I really, truly want to get back into the fighting – I’m in (the) negotiation stage,” McGregor said. “Everyone’s trying to get me to do something for money, and that’s all the way up, and all the way down. That’s from the fight game, that’s talk, that’s what they’re trying to do. Prior to fighting Mayweather, McGregor and UFC president Dana White both expected for him to defend his lightweight title before year’s end. That’s clearly not happening at this point. McGregor is currently too focused on building his “empire,” and who could blame him? As a fighter, he’ll never sniff anything close to what he scored against Mayweather in a single UFC bout. But as a co-promoter, it could help close the gap. McGregor’s next fight is expected to be a UFC lightweight title unification bout against interim champ Tony Ferguson.